Discovering in Bikes lesser known roads… but full of sweat and toil. 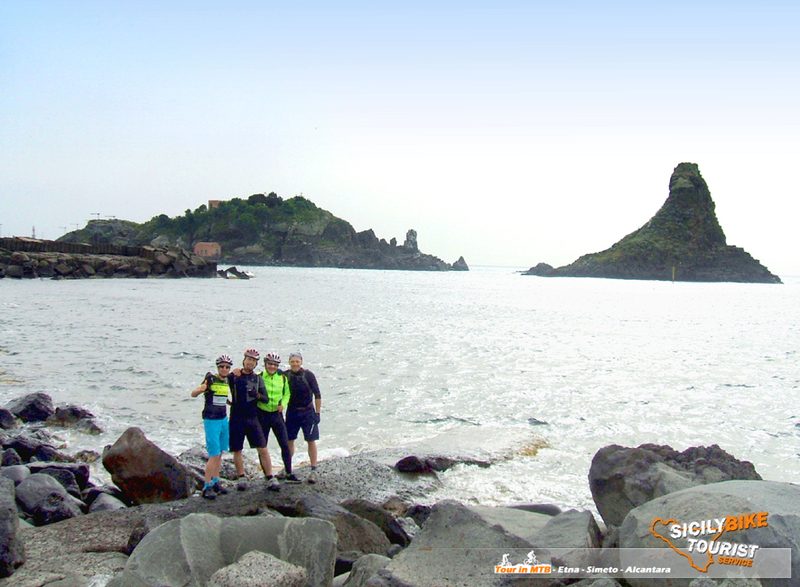 Cycling tours, along a different itinerary from usual… you forget the main roads… and you fill your muscles of toil. 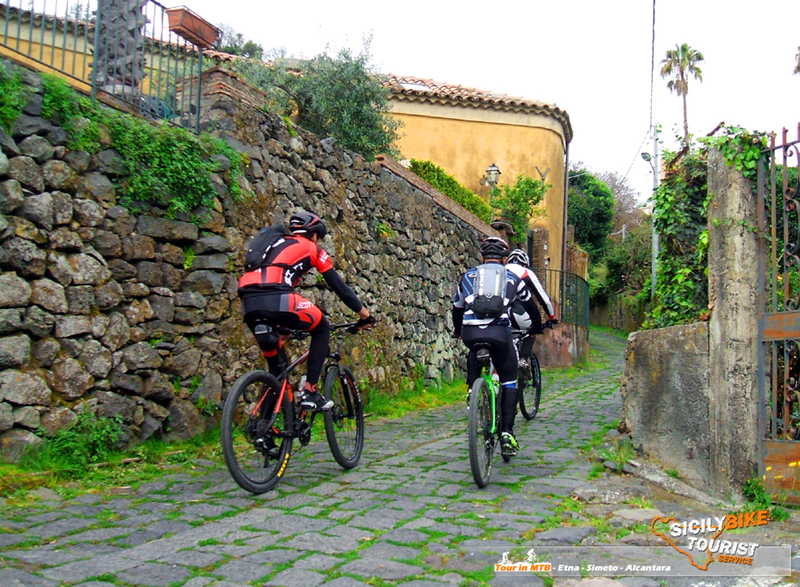 Starting by bike from our headquarters in Catania… from the sea to the Etna volcano, we will go to the discovery of the famous Catanese coast… warming our muscles between seaside villages and mythological places… as Acitrezza. 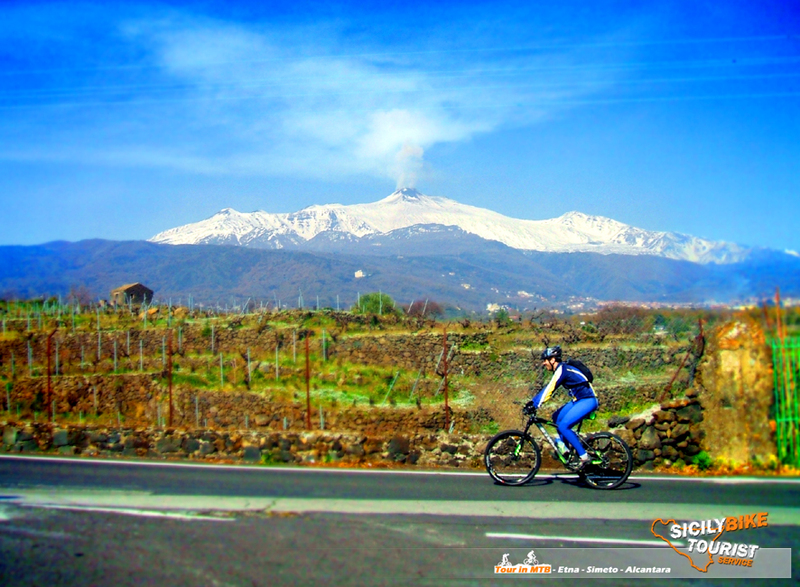 After the coast the tour really gets underway, from now on, only climbs are waiting for us, we will search by bike the hardest climbs on the southern side of the Etna volcano… along secondary roads, asphalted, rough and dirt, unknown to many, with slopes that will reach even 25%, all to get to by bike up to Zafferana Etnea (600mt, slm about), charming town of chief town Etneo, rich in history and folklore, where we will stop to regain our strength, maybe tasting a good Sicilian Pizza (not included in the price). 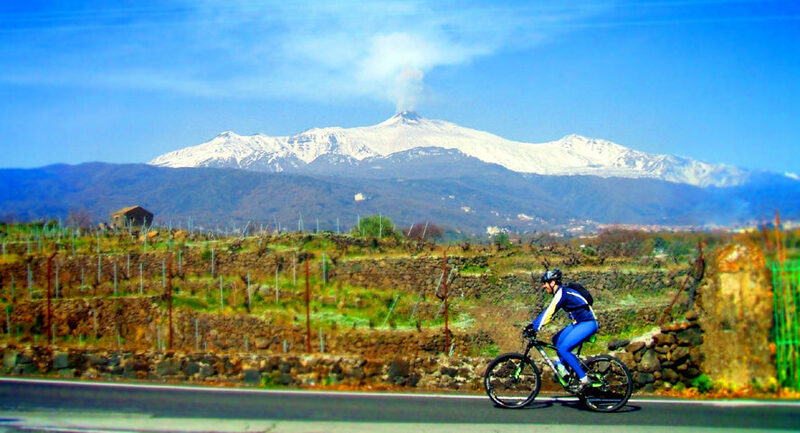 The return will take us on a bike along the southwest slope of the Etna volcano, in the direction of the coastal villages, along a different route from the one used for the outward journey. 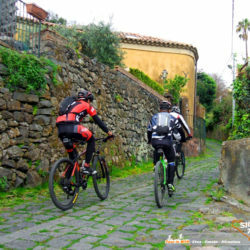 The cycling itinerary will develop along most of our secondary roads, they will not be missing off road sections (easy to travel) and rough roads with pavè. 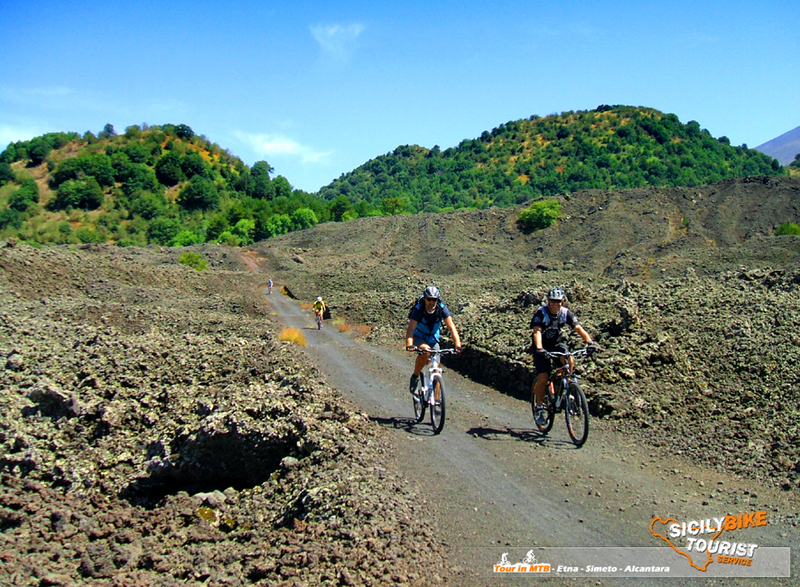 This is a cycling tour different from the usual… that is born just to test you, do not be mislead by the altitude of the place of arrival (Zafferana Etnea), just 600 meters above sea level, because it really is the way in which we will arrive at this altitude that will put you to test hard, with climbs that will also touch the 25% slope, in roads often with uneven ground. 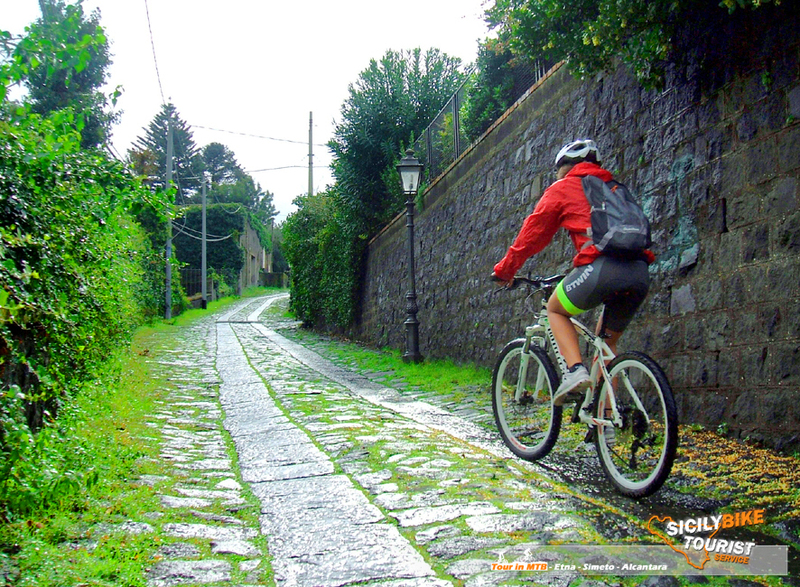 Type of bike route: Asphalted roads, pavè and gravel roads. 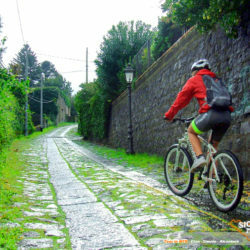 Path: Difficult (we recommend a good physical preparation), 80% On Road. 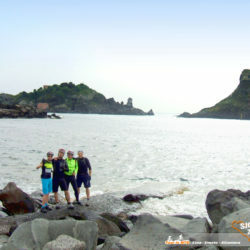 KM and duration of the Tour: The tour is programmed to last about 3-4 hours, to cycling gait, including technical stops and photographs, but of course, the duration depends by subjective physical capacity of the client. In case of need (excessive tiredness, illness or overestimation of one’s own state) it will be possible shorten the tour cutting whit various alternatives. Program changes: Option to extend or diversify the route with alternative or different solutions, to be agreed upon booking. 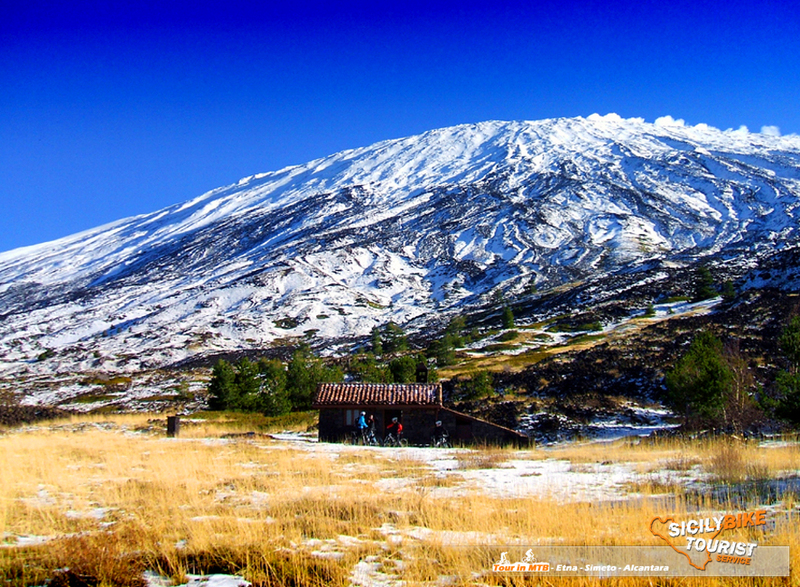 * € 45.00 – 1 participant (exclusive reservation of the Tour). * € 35.00 – each person, for a minimum of 2 participants for a maximum of 4 participants (exclusive reservation of the Tour). 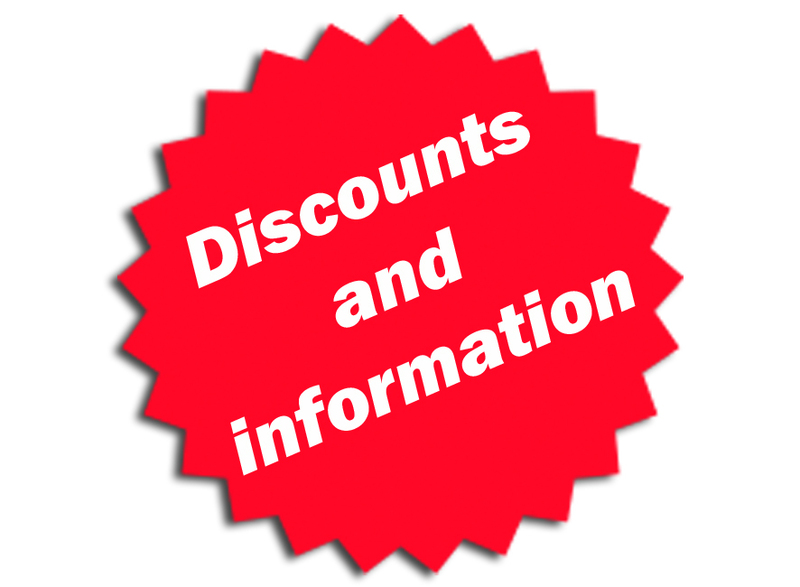 20% discount on the cost of the Tour, with a minimum of 2 participants, only applicable to online reservations (E-Mail or WhatsApp) at least 15 days before the date chosen for the tour. 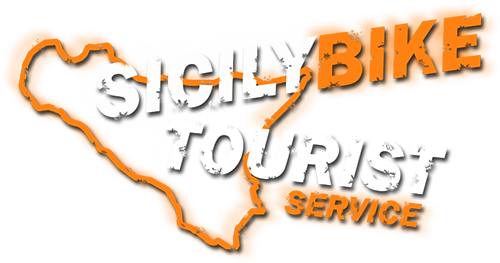 IMPORTANT: The prices above are not inclusive of Pick-Up service (booked exclusively as extra), the departure for this tour is our Catania office. * Included in the price: Certified cycling Guide, bike (FLAT pedals), helmet, backpack, wind jacket, water bottle (500ml), energy drink (500ml), energy bar and insurance coverage RC. 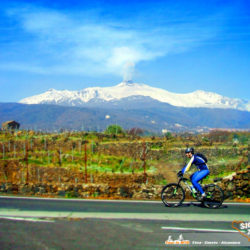 We recommend: Technical/sports clothing suitable for cycling sports, trekking/tennis shoes (we also have the possibility to mount SPD pedals to give you the opportunity to use your technical cycling shoes, but the request must be made when booking), gloves, glasses sun or cycling, sunscreen (summer season).